the River’s Edge Arts Alliance! Our volunteers make a valuable contribution to the arts by giving their time and helping to keep the organization running. The River’s Edge Arts Alliance (REAA) is a non-profit organization which brings the full spectrum of the arts to the greater Hudson and Marlborough areas. REAA creates and sustains a wide variety of participant and performance opportunities, including our After School Music Program, Arts in the Park Concerts, Family Fun Festivals, River’s Edge Chorale, River’s Edge Players, Summer Drama Workshop, and many Visual Art Exhibits. Meet and work with the wonderful staff, volunteers and members of the River’s Edge Arts Alliance. Volunteer 50 hours within a season, and receive a free River’s Edge Arts Alliance Individual Membership for the following year. Do you Like to be outdoors and meet people? We make posters to advertise our upcoming events and need to distribute them to local merchants. Our theatrical performance related activities offer volunteers the opportunity to play music, build and paint sets, gather props, sew, bake, usher or sell tickets. Activities like this go on year round with the Summer Drama Workshop and River’s Edge Players performances. The Chorale need help filing music and people to help with all aspects of receptions. We have eight regular and several other visual arts opportunities throughout the year. There are many volunteer opportunities available to support these activities. In the office volunteers are essential in maintaining databases, cataloging our archives, assisting with bulk mailings and working on our website. 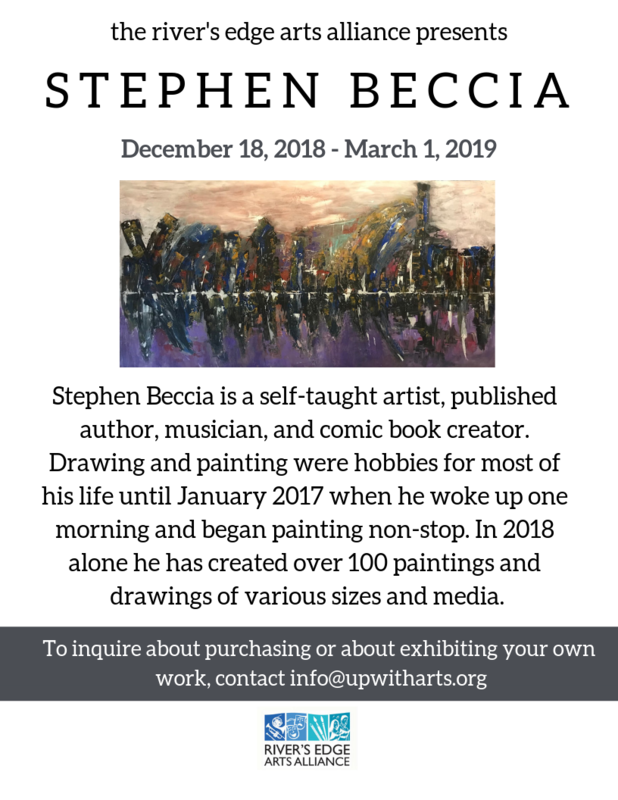 Please call the office at 978-562-1646 or email info@upwitharts.org and we will answer any questions.